Booking.com is a global leader in connecting travelers with a wide choice of incredible places to stay. Only a few consistently deliver great guest experiences, time after time again. 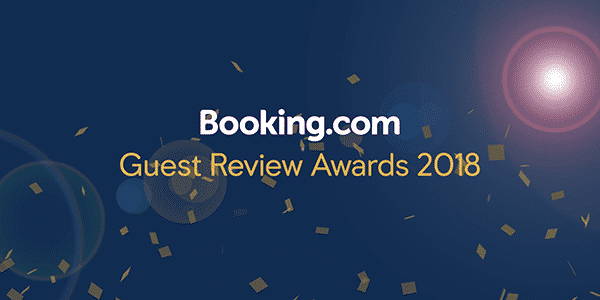 These hotels have been rewarded with a special award: Baoase Luxury Resort is honoured to receive the Guest Review 2018 Award! Guests rated Baoase Luxury Resort with an average over 8.0 out of 10.0. This rate is based on cleanliness, comfort, location, facilities, staff and value for money. We are so very pleased to hear that our hard work led to such a high satisfaction of our guests. We are looking forward to another year of hard work and to deliver many more unique experiences!